We loved this blog post written by the founder of one of our favourite globally acclaimed skincare lines, Kerstin Florian. 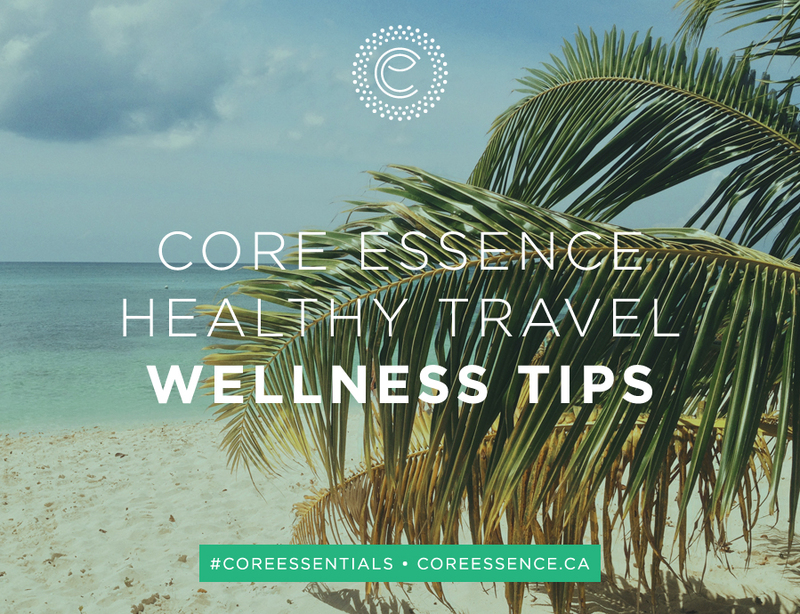 It includes some great healthy travel tips as well as links to 3 TSA Approved Skincare Kits that will keep you looking vibrant and refreshed even when traversing time zones. The “Rehydrating Neroli Water” is an absolute must…this never leaves my handbag and is extra refreshing if you pop it into the fridge for a few minutes before applying. One other tip we would love to offer to help your body truly settle, especially after a long flight, is to allow for 10-minutes in a quiet place soon after your arrival to lie down on the floor with your legs up the wall. Scootch your bum right up to the edge of where the wall meets the floor and gently guide your legs up the wall. Allow your spine to lengthen and extend along the floor, lifting and lowering your hips briefly to release the small of your back. Curl your tail bone under slightly to soften the arch of the spine. Roll your feet and ankles a few times. Rest your arms by your side, palms facing up, shoulders away from your ears. You can place a pillow underneath your head if that is more comfortable. To add to the relaxation factor, apply Kerstin Florian “Calm Mind” essential oil to your temples and breathe slow, full, deep breaths in and out through your nose. On your inhale fill and expand your belly, on your exhale gently guide your naval back in towards your spine. Allow the body to rest here for at least 8-10minutes, sufficient enough time to allow the blood flow in the body to reverse and to increase the circulation to your vital organs. This restorative pose greatly helps to reduce edema (swelling) in the lower body, especially feet and ankles, helps to reduce the occurrence of varicose veins, and supports the delivery of more oxygen to your heart and brain. With the color-burst of 4th of July fireworks over the East River (New York), San Francisco Bay (California) and every small Americana town in-between, summer here is officially underway. And with it, vacation season – which doesn’t have to mean unhealthy indulgences. Whether traveling by plane or train; checking into a five-star hotel or the cot in grandma’s spare attic room, there are ways to keep your mind, skin, body and spirit healthy while on the road. At the Lake or Beach House: stock your kitchen with fresh produce and super food ingredients (explore the local farm stands and markets). And bring along your smoothie blender. Nourish yourself with your healthful blends, and maybe even turn your housemates on to green living. If you’re a morning person, rise early in the a.m. to watch the sunrise over the water. Practice yoga in the morning (or dusk) light, go for a jog, kayak, stand up paddleboard, or take a long walk in nature. Be sure to apply sunscreen throughout the day and shield face with a hat and sunglasses. Skip the hair dryer and curling/flat irons and allow your hair to cool-dry naturally in the breeze. In the Air: While many airlines are working to well-up their menus, plane food is still just that – plane food. Carry on your own healthy snacks: fruit, nuts or dried snacks. Buy water at the airport and drink, drink, drink inflight. Keep your shoes on, or change into a pair of thick, cushy slipper-socks, those plane floors can be nasty. Massage your calves every so often to help the blood circulate. Use the flight to relax – plug into your favorite soothing music, book a window seat and watch the clouds. Dab on one of my personal favorites, Kerstin Florian Calm Mind, a blend of lavender and peppermint oils, to temples and sinus points. Or rub a few drops in palms and slowly inhale. On the Train: Rail travel is one of my favorite modes of transportation – a throwback to a gentler, more romantic era, and I find, a perfect way to go inward. Seek out the “Quiet Car” – which is completely conversation (and cell-phone) free. Use your time there to digitally detox from your own phone. Read that book you’ve been longing to read. Close your eyes and meditate into sleep. Or better yet, keep eyes open and savor the scenery. In the Hotel Room or Grandma’s Attic Room: Whether checking into a five-star room, or the guest room of a friend or family member, make the room your own. Set up your night-table with familiar items: a small photo of your children, spouse or partner; bring your favorite travel-sized candle and light it upon arrival to infuse a scent of ‘home’ spread out your yoga mat and stretch. And unpack your bathroom with your very own favorite, travel-size products – cleansers, mists, face and body moisturizers. Including our very own Kerstin Florian products. The Beachcomber: containing our Kerstin Florian Multi-Vitamin Day Crème SPF 30, Rehydrating Neroli Water, Sun Protection SPF 30, Lip Balm SPF 15, Hyaluronic Serum sachet and Brightening Eye Crème sachet. The Jetsetter: featuring Rejuvenating Cleansing Gel, Rehydrating Neroli Water, Rejuvenating 24-Hour Moisture Crème, Fuß Balm, Hyaluronic Serum sachet and Brightening Eye Crème sachet. The Weekender: with Rehydrating Cleansing Milk, Rehydrating Neroli Water, Multi-Vitamin Day Crème SPF 30, Hyaluronic Serum sachet and Brightening Eye Crème sachet. All three travel kits arrive in a clear zippered sand and water-resistant travel bag and include a smoothie recipe card. Happy summer and happy travels!